After payment, you will receive an e-mail receipt and a "File Download Button" + link so you may download a ZIP file with the documents you purchased. Includes 29 Professionally Translated Rental Documents. These documents were designed to help you communicate with your English and Spanish speaking tenants. With these documents, your tenants will have no excuse to not understand your rules or notices due to a language barrier. Option 2: Bilingual Rental Agreement "Lease"
"Rental or Lease Agreement". Make sure your future tenants understand what they are signing without any language barriers. You want them to fully understand your rules. Our lease agreement will convey such rules in their own language. You will receive our entire rental documents listed, plus our bilingual Rental Agreement and bilingual Rental Application. $25.00 Savings that will potentially save you thousands due to miss-communication. What are the English/Spanish rental documents? 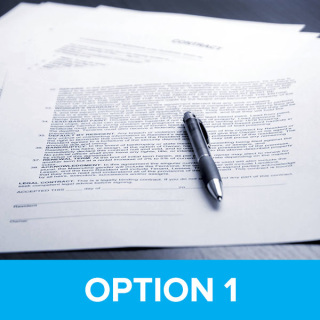 These are professionally translated documents for the property rental industry. These documents were designed to help the landlord/property manager, better convey their messages. Not only will you get your point across, you will save money by the miscommunication created by the language barrier. With documents in their native tongue, there will be no excuses. Save hundreds and maybe thousands of dollars by using our translated documents. Big chain retail stores carry similar documents for hundreds of dollars in one language. With LingoDocs.com and our Bridging Nations documents, we offer you similar documents at reasonable costs in two languages, allowing you to do business in the two largest markets in the United States. Save money on these bundled documents. The Bridging Nations documents amount to thousands of dollars if translated with other translation companies. But through LingoDocs.com we're able to keep the cost down, so it is affordable for all levels of business. Can't find the document you're looking for? We can still help you; see our translation service. Also reviewed by a professional and bilingual, Hispanic loan officer. Notice Pay Rentor Quit, Past Due Rent 1st Notice, Permission to Enter Notice, Rental Application English/Spanish, Rental Decline Form, Rent Receipt, Repairs needed to Your Residence Notice, Request for Safety and Peace Notice, Spanish Lead Base Booklet, Temporary Shut-off Notice, Welcome Letter, Move-In Inventory and Condition Form, Move-Out Instructions Notice, Neighbor Noise Complaint 1st Warning Notice, Neighbor Noise Complaint 2nd Warning Notice, Acknowledgement of Pet Presence Notice, Addendum, Announcement of Change of Address, Change in Rent Notice, Change of Locks Notice, Complaint-1st Warning, Credit Check Authorization Letter, Damage Done by Pet, Damage Done by Pet-2 Notice, Damage of Property at Check-out Notice, Destruction of Public Space Notice, Detailed Bilingual & English Only Rental Application, Disclosure of Information on Lead English-Spanish, Employment Verification Request to Employer, English Lead Base Booklet, Illegal Activity Complaint 1st Warning Notice.